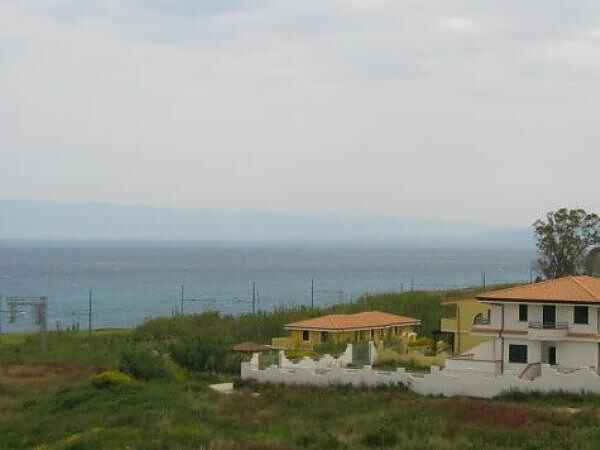 Brand new apartment (completed 2009) just a few meters from a secluded beach and just seven minutes from the world famous resort of Tropea and 38 km from Lamezia airport. The apartment is located within walking distance of all needed amenities in the lovely seaside village of Briatico. The apartment is a part of a complex of four apartments with a private gated entrance. There are two bedrooms, each with a balcony both overlooking the Tyrrenhian sea on one side, and the impressive Calabrian mountains on the other. Total indoor living space of 60 sqm. The enormous terrace leads out to a very large private garden area. One bedroom has a double bed, the other has a bunkbed and one twin bed. In the living room there is a futon than can sleep two. Apartment newly furnished in 2009. Kitchen includes a dishwasher. Beautiful sea and mountain view and just a few meters to a secluded beach.